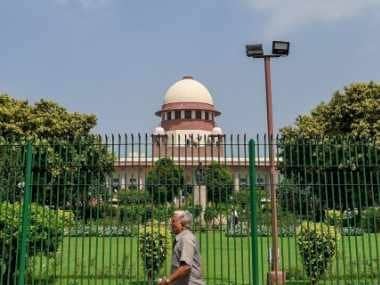 New Delhi: The government on Tuesday opposed granting recognition to "living will" in cases of passive euthanasia, telling the Supreme Court that it could be misused and may not be viable as a public policy. The Centre told a five-judge constitution bench headed by Chief Justice Dipak Misra that a draft bill based on the guidelines for passive euthanasia made by the top court in the Aruna Shanbaug's case and recommendations of the Law Commission was under its consideration. Passive euthanasia is a condition where there is a withdrawal of medical treatment with the deliberate intention to hasten the death of a terminally ill patient. "We have been following the guidelines laid down by this court in Aruna Shanbaug's case and a medical board is a final authority to decide on passive euthanasia, not the living will be created by a person," Additional Solicitor General PS Narasimha, appearing for the Centre, said. He said if "living will" is created by a person and is recognised, then there are possibilities of it being misused and this would not be viable as public policy. "If a person is not of sound mind, then he is a not a competent person to make a living will and in that case, it is a medical board which will have to look into the affairs and not the individual. 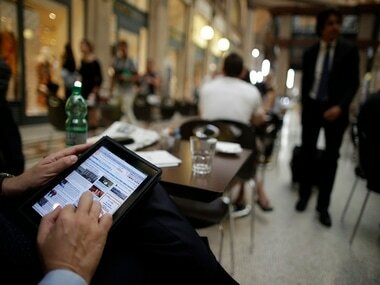 Safeguards have to be there and nothing more could be done," he said. The ASG said the court can work out modalities about the safeguards as the living will to dilute the treatment could be misused. The bench, also comprising Justices AK Sikri, AM Khanwilkar, DY Chandrachud and Ashok Bhushan, questioned whether any medical board is permanently constituted to take a call on passive euthanasia. "No, the medical board is not permanently constituted and is set up on the case-to-case basis," Narasimha said. The bench then asked advocate Prashant Bhushan, appearing for NGO 'Common Cause' which is seeking recognition to the living will, whether an individual has a right to refuse medical treatment or can the State interfere to safeguard life. Bhushan said various countries recognise living will be made by persons. In India, where resources are so limited, it should be legally acceptable in order to avoid creating a hopeless situation for the middle-class, he said. "Under Article 21 of Constitution, a person has the right to die peacefully without any suffering and therefore he has right to create a living will that when he can't recover from illness, his life should not be prolonged," Bhushan said. He said it is contradictory that the court allows passive euthanasia but does not recognise execution of a living will. Justice Chandrachud then expressed concern over elderly people being treated as a burden by some people and said that safeguards need to be created to avoid misuse if the living will is recognised. Bhushan said that forcing prolonged medical treatment on someone who does not want it, amounts to assault and added that passive euthanasia in the Aruna Shanbaug's case was distinct from living wills. The hearing remained inconclusive and would continue on Wednesday. 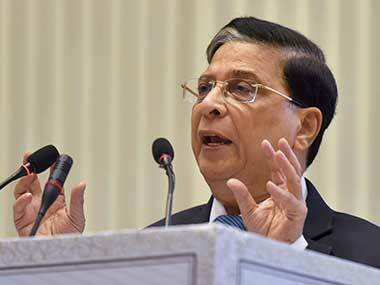 The bench also asked senior advocate Arvind Datar to assist in the matter as the senior lawyer and former Solicitor General TR Andhyarujina who was appointed as an amicus curiae in the case in 2016, had passed away. The bench was hearing a PIL filed in 2005 by the NGO, which said when a medical expert opines that the person afflicted with a terminal disease has reached a point of no return, he should be given the right to refuse life support system. In 2014, the apex court had referred the petition to a five-judge constitution bench which sought to recognise the execution of a 'living will' of persons suffering from chronic terminal diseases and likely to go into a permanent vegetative state. On 15 January, 2016, the Centre had told the court about the 241st report of the Law Commission which stated that passive euthanasia should be allowed with certain safeguards and there was also a proposed law, Medical Treatment of Terminally Ill Patient (Protection of Patients and Medical Practitioners) Bill, 2006. The government had said that its stand will also be based on 6.7 regulation of 2002 under Medical Council of India Act which says that practicing euthanasia shall constitute unethical conduct. It had said that on specific occasions, the question of withdrawing supporting devices to sustain cardio-pulmonary function even after brain death, shall be decided only by a doctors' team and not merely by the treating physician alone. The apex court had said its verdict of 2011 allowing passive euthanasia was delivered on a "wrong premise". 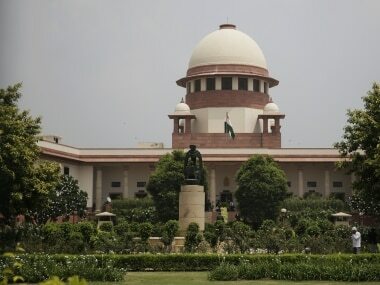 It had said that its earlier Constitution Bench verdict, which was wrongly relied upon in Aruna Shanbaug case, had held that the right to live with dignity will be inclusive of the right to die with dignity, but the judgment did not arrive at a conclusion on the validity of euthanasia.